Your FIT email address is your FIT Username followed by the domain @fitnyc.edu. FIT uses G Suite for Education and email accounts use the Gmail platform. 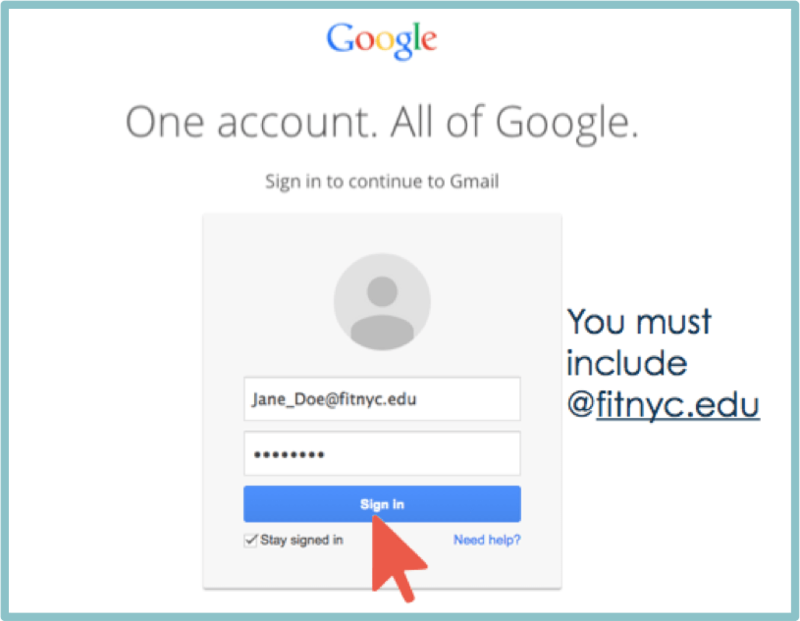 While your FIT email address will end with @fitnyc.edu and not @gmail.com, the look and functionality will be the same as an @gmail.com account. The major difference will be how you log into your FIT email account. There are two ways you can log into your FIT email account; by going directly to gmail or through MyFIT. Step 1: If you have not changed your password from your DOB default password, you must change your password before you can log into your FIT email. Need help changing your password contact TechHelp? Step 3: Click on the “Sign in” button in the upper right corner of the Google homepage. If you do not see the “Sign in” button then you are already signed in with another Gmail account; follow the How to log in to more than one Gmail account instructions or sign out of that account and sign back in with your FIT account. Step 2: Go to https://myfit.fitnyc.edu and sign in with your FIT username and FIT password. Step 3: Click on the Gmail E-mail icon in the upper right-hand corner. Step 4: Your FIT Gmail will open in a new window.